Still largely an unknown quantity in this country, Judee Sill is destined to develop into a powerful force in the near future and she’ll be playing dates in Britain next month including a concert with America at the Festival Hall. She has in fact the composing and tale-telling talent of a Melanie, the flair for lyrical interpretation of a Judy Collins plus a great deal that’s strictly her own. The backings are largely acoustic but augmented on a few tracks by beautifully scored strings. 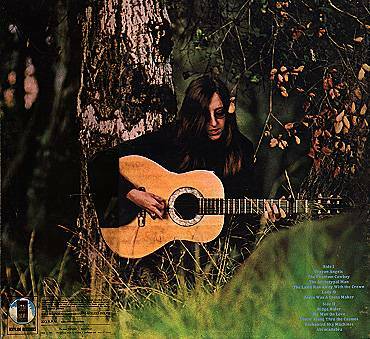 Judee commands considerable respect in the States, as is shown by the fact that Graham Nash was involved in the production and Rita Coolidge is one of the backing voices. Her message to us on the sleeve is “May you savor each word like a raspberry”. Well, savour each word I most certainly did. But this album deserves a bouquet, not a raspberry. It’s fine stuff. JUDEE SILL— who makes her concert debut in this country later in the month — is the first really exciting new talent to emerge on the pop scene in 1972. Her appearances with Dave Crosby and Graham Nash gave her a high advance reputation which this first album proves totally justified. Life has been far from smooth for Judee. Her father died when she was very young and her mother a few years later of alcoholism. On the same day that her brother died of pneumonia, she herself took an over­dose of heroin. As a result of these experiences she turned to religion and there is a strong religious theme running through a number of the tracks on the album. The best numbers are ‘Jesus Was a Cross Maker’ and ‘The Lamb Ran Away With The Crown’ although it is probably a mistake to pick out individual songs from an LP that has few, if any, weak points. DISC & MUSIC ECHO March 4,1972. 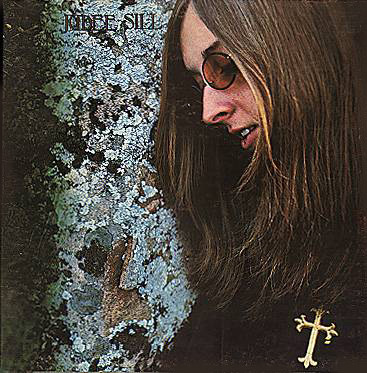 JUDEE SILL This is a marvellous album vocally and musically. She starts a song with a smooth, easy-flowing finger-style acoustic guitar and gradually the backings build up. There is a quasi-classical feel to all her songs which are inventive, difficult but have amazingly commercial hook lines that could make Greenaway-Cooke gnash their teeth with envy. On “The Phantom Cowboy” she brings in the classical backing and follows it through with a vocal fugue. It is one of those albums that is so good, that new things to say crop up every bar and one could end up saying too much. Saying no more, warning only that her lyrics are tremendously complicated, I beg you to listen to “Jesus Was A Crossmaker” which could say more about this album than a million words. GP. Recently seen with Crosby and Nash, this girl has a very simple style and delivery that makes a fantastic, honest feeling generate. From fully orchestrated to subdued backings, her voice and the poetic lyrics suit each nicely. Best combination is light backing and her clean, timely picking out on a nylon Spanish guitar out front. She’s one of the best female clawhammer pickers I’ve heard and songs like ‘Crayon Angels’ and ‘The Phantom Cowboy’ demonstrate sheer magic. No wonder Graham William Nash (also the producer) saw something here. She’ll be as big as Joni Mitchell with no sweat. L.G. JUDEE SILL: (Asylum). Judee is one of those breed of American girls who have taken to singing that one supposes were previously engaged in quietly knitting at home and rocking gently back and forth on the chair in the porch Now Judee, and dozens like her, have quietly put down their knitting, placed their spectacles firmly on the end of their snub noses, and taken up the acoustic guitar, bent on putting their bubbling thoughts into song. This musical manifesta­tion of women’s lib has been of great value and im­portance, and shows that while the menfolk have been bawling their gauche and inarticulate lyrics these past four score years and ten, the Judees have been storing up a treasure house of poetry and song. Judee has a more American voice than Joni Mitchell, and she gently rolls her R’s around with an attractive swinging motion. Her lyrics have a homely but none the less imaginative quality, as she sings of phantom cowboys and Jesus. One of the best songs here is “Jesus Was A Cross Maker.” which was produced by Graham Nash. She interprets each song with a gentle firmness that probably surprises her kinfolk Her accompaniment is strictly non rock, but the orchestra­tions retain a funky yet tasteful flavour, and even swing a mite here and there. She tends to be rather Iimited in her choice of keys and her moods are mainly introspective, without the flashes of humour one welcomes in Miss Mitchell. But a beautiful and highly recommended album. - C.W. But I'm sure I'm not to blame. Magic rings I made have turned my finger green. And my mystic roses died. His trail of dust is in my dreams. And sprints across the spatial streams. That's not very far, he's travelin' on a silver filigree. I waved my hand to flag him down. He's nor allowed to teach the ground. That's not very far, he likes it all just because it's real. The spark of hope is in me strong. And maybe I can ride along. He flies inside the walls he calls his own. I know him by the rose that's in his hand. I heat the words but I can't understand. But all through the Darkness his pain is pure. I hear the words but I can't understand. But through the rose in his hand. . . flows blood. But the Iamb ran away with the crown. But the lamb ran away with the crown. And the lamb ran away with the crown. But when I turned he was gone. He's a bandit and a heart breaker. The ridge he's ridin' is mighty thin. Forgits he's travelin' with a friend. Where the great sadness begins. And he doesn't pretend to be brave. But he's too humble to win. Have you met my man on love? One truth survives death's silent starkness. Though silence is your tomb. Save you from this doom. What once was passion, my friend. Most high, most high, my man on love. I missed the sweet love of the air . . However we are is O.K. Would you say I'm unreal? If you'd just let me feel. Take all the gentle home. Could maybe make me insane. Won't be too far away. I see signs every day. The gentle are goin' home. The confusion of his fight. Dare he hide from this light? See thru the eyes that be behind yours. Jesus Was A Cross Maker was produced by Graham William Nash and engineered by Larry Cox. Background voices were supplied by Clydie King, Vanetta Fields and Rita Coolidge.